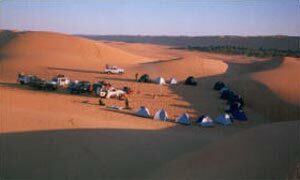 The Sahara - an ocean of fine sand and an officially designated natural museum, the Acacus region - offers spectacular desert and mountain scenery. 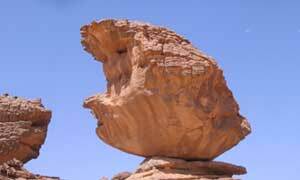 You will discover this stunning landscape by 4x4, on camels back or by trekking and hiking. Evenings are spent round campfires under a starry sky. SAHARA FRIENDS open you a world of adventures. Our company has selected the best teams, and its fleet of all-terrain vehicle, along with professional drivers who are capable to guide remote desert routes, and the best cooks who can serve the delicious natural traditional desert food to enjoy your travel. 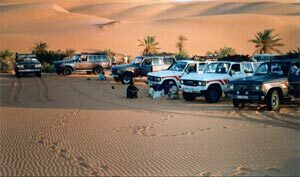 To escape in comfortable and air conditioned 4x4 along the Libyan Sahara tracks has become with SAHARA FRIENDS an incomparable pleasure allowing you to discover millennial sites with their mirages while crossing mountainous regions and sahara oases with a beauty brushing on the imaginary. 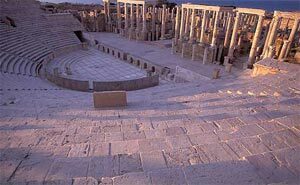 Libya is located right at the crossroad of the Mediterranean Sea: the cradle of ancient civilizations. 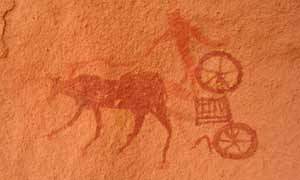 The archaeological sites are nothing but lacking: garamantic, punic, carthaginian, roman, byzantine, islamic...a plethora of sites which illustrate the strategic and	historical importance of Libya. 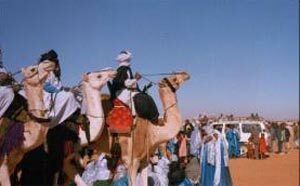 SAHARA FRIENDS gives you the most to make your cultural trips a success by a personnalized managerial staff of the group and by making available highly qualified guides who are generally archaeological researchers, lecturers, intellectuals and culture specialists. Our programms are available on request. We also provide tailor-made voyages.